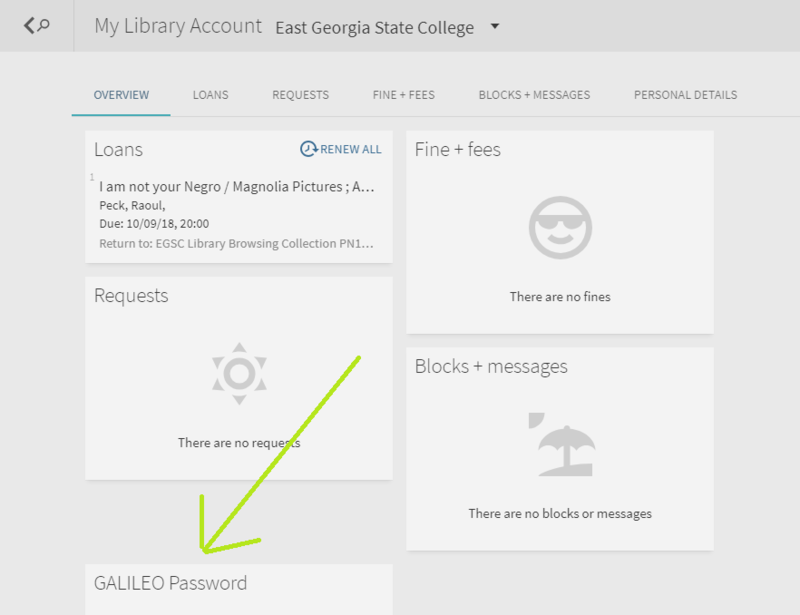 How to access your Library account and the GALILEO password.. The GALILEO password is only required if you are using the resources off-campus. You can bypass the password requirement if you sign in to your MyEGSC portal and choose the GALILEO icon. Visit the Library's website at www.ega.edu/academics/library & sign-in to your account. 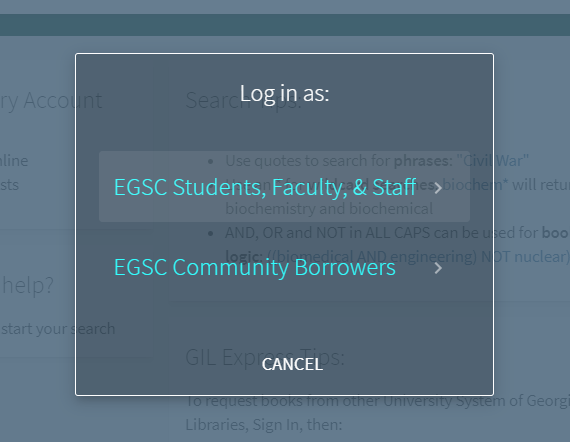 Navigate to the catalog: GIL-Find@EGSC & sign-in to your account. If you are a current EGSC student, staff or faculty member, choose EGSC Students & Faculty and sign in with your MyEGSC credentials. If you are NOT a current student, staff or faculty member, choose EGSC Community Borrowers and sign in with your Driver's License number & password (Firstname_Lastname , all case sensitive). *If you are not a current EGSC user, you can apply to use our resources for free! Contact us for more information. The GALILEO Password is in the box at the bottom of the page.